If you want to be successful growing tomatoes, you need a basic understanding of the essential macro and micro nutrients necessary to nourish growing plants. Nitrogen, Phosphorous, Potassium, Calcium, Magnesium and other trace minerals all play an important role in plant development. It is well worth your time to get a soil test to determine your soil profile and any deficiencies which may need to be corrected. It is also important to check the pH of your soil. Tomatoes prefer a pH of 6-6.8 for optimum growth and fruit development. You can amend your garden to bring balance to the soil, and good organic compost applied liberally to the garden is always a good strategy to promote healthy planting beds and proper soil pH. Nitrogen is an essential element for leaf and plant growth. Nitrogen gives your plants their deep green color and is necessary for photosynthesis. 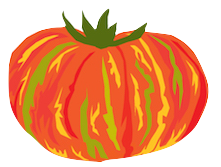 To grown tomatoes successfully, steer clear of high nitrogen fertilizers and opt for a balanced organic fertilizer. High nitrogen fertilizers such as urea and fresh manure result in excess leaf and plant growth at the expense of blossoms and fruit. Phosphorus (the middle number in the N-P-K ratio) stimulates root growth and development. Healthy soil, ample organic matter and soil organisms can help increase phosphorous availability. Bone meal is a good organic source of phosphorous. Potassium boosts plant vigor, thereby increasing resistance to disease and stress. 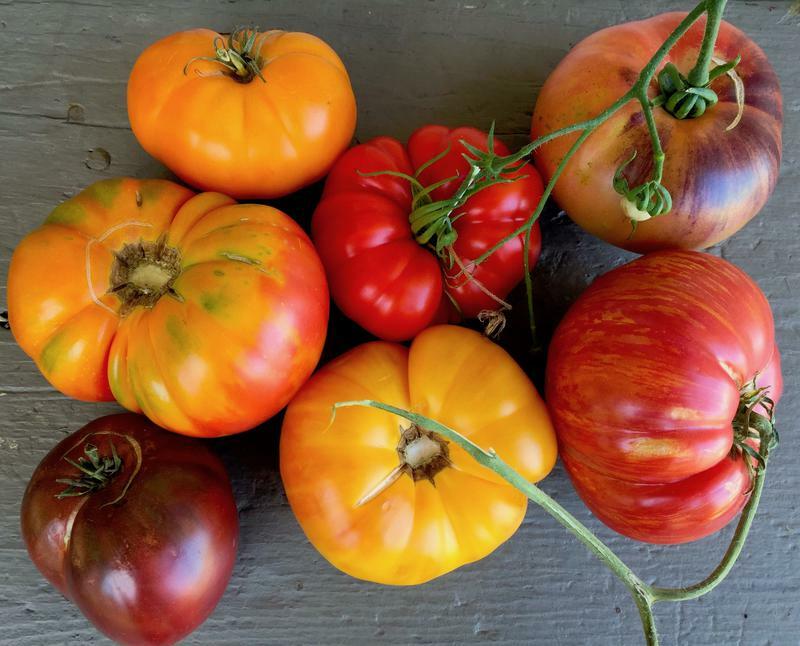 Potassium deficiencies can affect tomato flavor and texture. Once tomato plants begin to flower, they need a higher ratio of potassium. Organic sources of potassium include greensand kelp meal, and wood ashes. We highly recommend foliar feeding for tomato plants several times throughout the season. Spraying the foliage with liquid nutrients can greatly increase yields. Nutrients are absorbed through both upper and lower leaf surfaces. We recommend spraying after transplant, during flowering, and just as the fruits begin to set. Thoroughly soak the leaf surfaces in early morning or late day using fish emulsion, kelp, or a combination of the two.